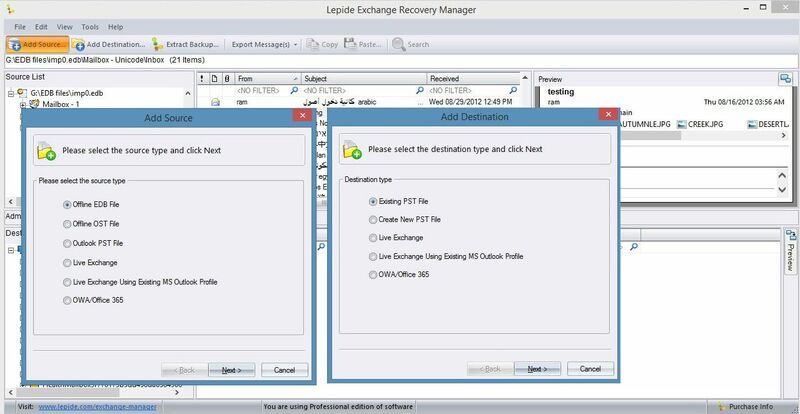 Lepide Exchange Recovery Manager provides an easy way to do Exchange recovery. This user-friendly Exchange Manager tool restores both mailboxes and public folders. 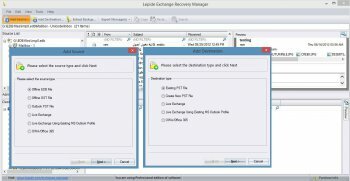 Its E-discovery feature helps in identifying and recovering specific mails from multiple backups for ordinary restore or Exchange disaster recovery. It can even do Exchange mailbox migration. Great EDB repairing tool, helping the basic needs of the corruption repair for the companies like us. Besides this it is very quick in performing migration from one Exchange Server to another Server also. Has greatly checked the needs for the ever changing technological world and has fulfilled their wants finely with great satisfaction. Thanks Lepide in putting such a strenuous effort in making such a product. An excellent recovery tool which helped our company in ease of repair and recovery of corrupt exchange database. These people had put in a lot of effort to make the tool adaptable to the changing environment of recovering the data through new techniques. They work hard they work smartly.